The variety is known on the island of Sicily since the mid-19th century. According to an unverifiable hypothesis, at the time of the Arab rule it was supposed to be from the Damascus as early as the 9th or 10th century Syria been introduced. But there is no proof for that; if not from Sicily, it may come from the Mediterranean coast. 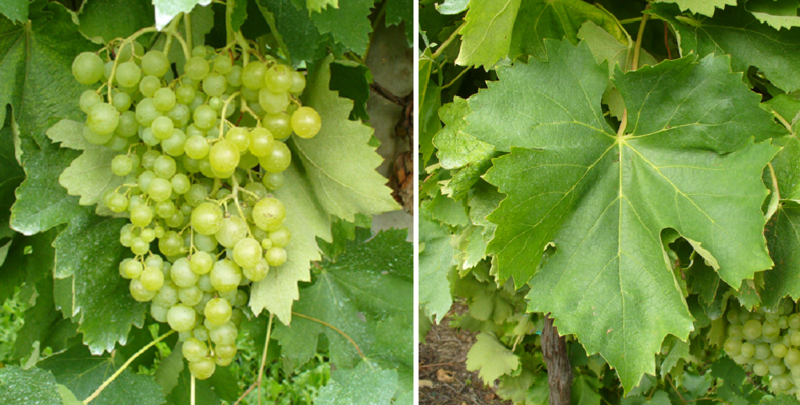 The fertile, medium-maturing vine is resistant to drought but prone to wrong mildew, It produces powerful, aromatic but rather low-acid white wines. In Italy The variety is above all else Sicily represented and there in the DOC wines Alcamo. Delia Nivolelli. Marsala and Sicilia authorized. Here it occupies 221 hectares. In France it is only grown on one hectare and is in the area Bellet (Provence) approved. In Spain she will be in the Levante area in the DO areas Alicante and Valencia cultivated on 239 hectares. And in Portugal occupies 1,037 hectares in the DOC areas Beira Interior and Madeira, Under the name Valencí were in Argentina total recorded 586 hectares. In Algeria. Australia and Tunisia it is mostly called table grape used. In 2010, a total of 2,083 hectares of vineyards were reported with decreasing trend; Ten years earlier, there were 2,359 hectares (Kym Anderson ). This page was last modified at 24 August 2018 at 11:39.